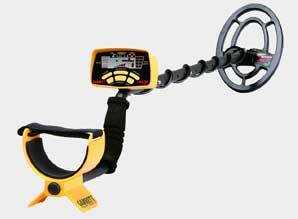 The Ace 250 metal detector from Garrett Metal Detectors is the world best selling Metal Detector. As an owner and user of the Ace I thought Id do a little write up metal detector review from a customer perspective and not a marketer! The weight of the Ace is top class, super light and easy to use. You wont even feel it on your arm or back. Also Batteries last for an eternity! I had the Ace 250 for 3 years and I changed the AA batteries around once per year – maybe twice per year if you go out allot. No need for rechargeable here. Although the Pinpoint is not as accurate as the GTI for example, it still does the job well in my opinion. The Price of the Ace is also a key selling point. Easy to change coils to a larger one if required. Nice coin hunting machine. Have found a ton of coins with this baby at good depth. Perfect for those just starting out. Extremely simple to operate and put together. The Ace 250 wont reach the depth of some of the expensive units although sometimes it can push them close. The discrimination range is 12 segments which do the job but may lead to some overlap with trash when compared to a GTI 2500 for example with 24. All in all this is the best value for money buy for the first timer. You wont find more features and a better price performance ratio on another unit as compared to the Ace 250 metal detector. This is what makes the Ace 250 the worlds most popular metal detector. Also take a look at the Ace 150 metal detector which is a bit cheaper but does not come with essentials like pinpoint and its discrimination range is limited. I would recommend getting the Ace 150 for the kids. It is a virtual certainty that you will be hooked on the hobby after buying the ace and after a few years of hunting you will probably want to upgrade to a fancier machine. Thanks for reading this Garrett Ace 250 Metal Detector Review.